It’s been a month – well, one week to be specific. In the past week, I was in Paris celebrating my husband’s birthday, Nashville for work, Tucson for a wedding and now Boston for another work trip. 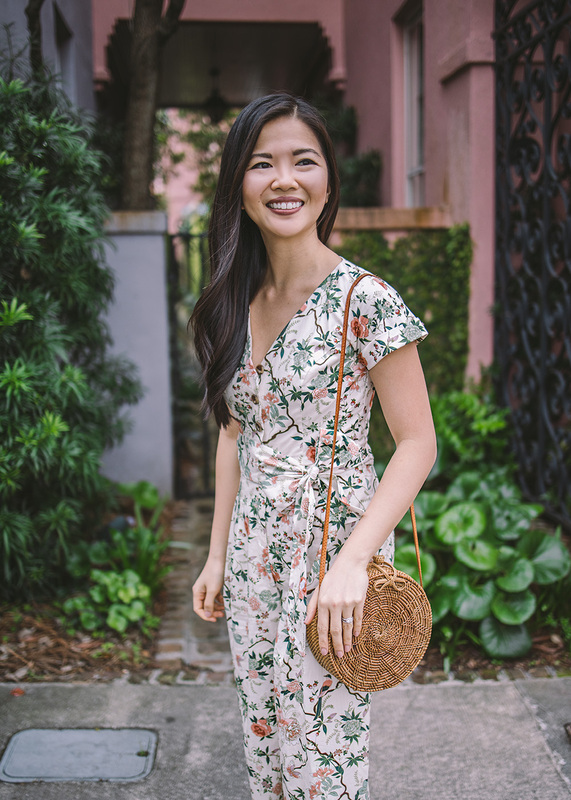 And here I am on the blog still posting outfits from our Charleston trip in February. I’m that behind! 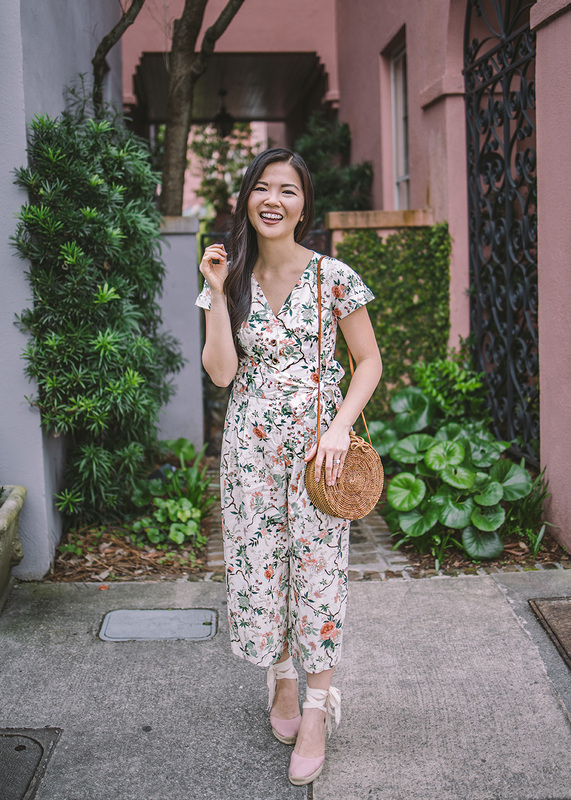 But seriously, this floral jumpsuit from Gal Meets Glam needs a moment in the spotlight. 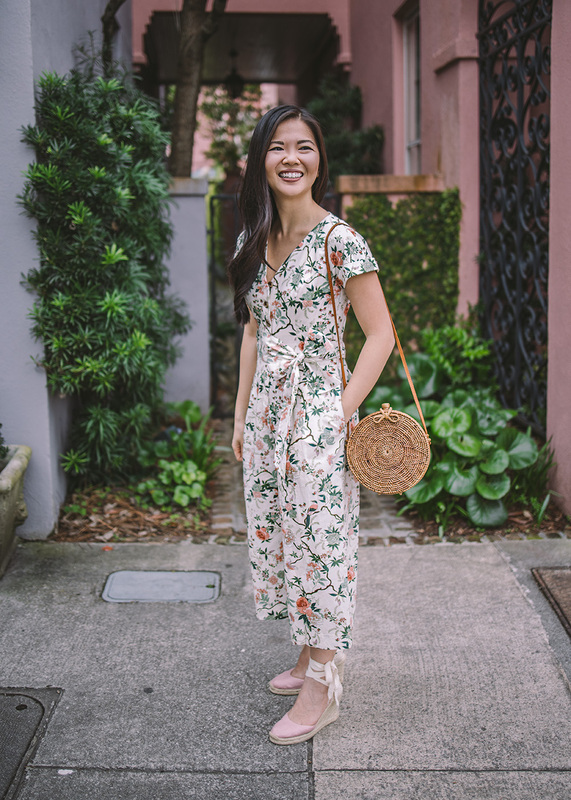 It’s such a pretty print for spring and I love that you can pull from all the different colors for accessories (like these pink wedges!). 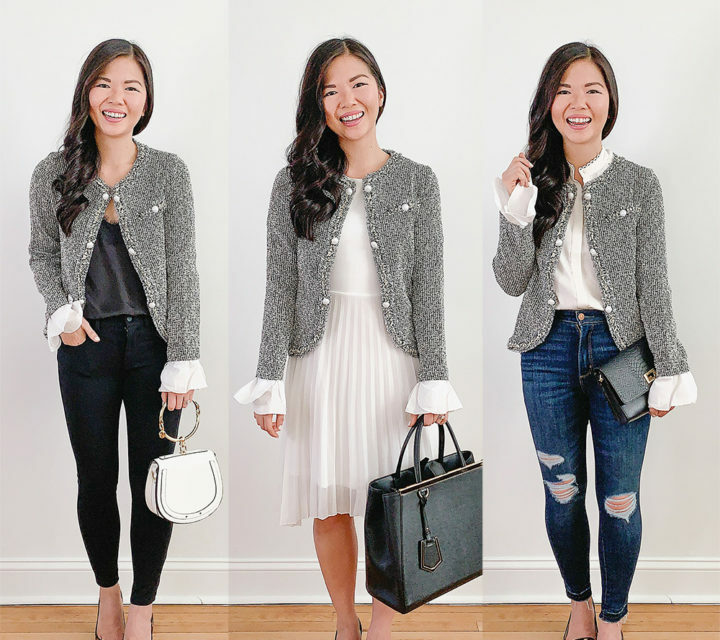 As you know, I’m a huge fan of GMG – both the blog and the clothing line. 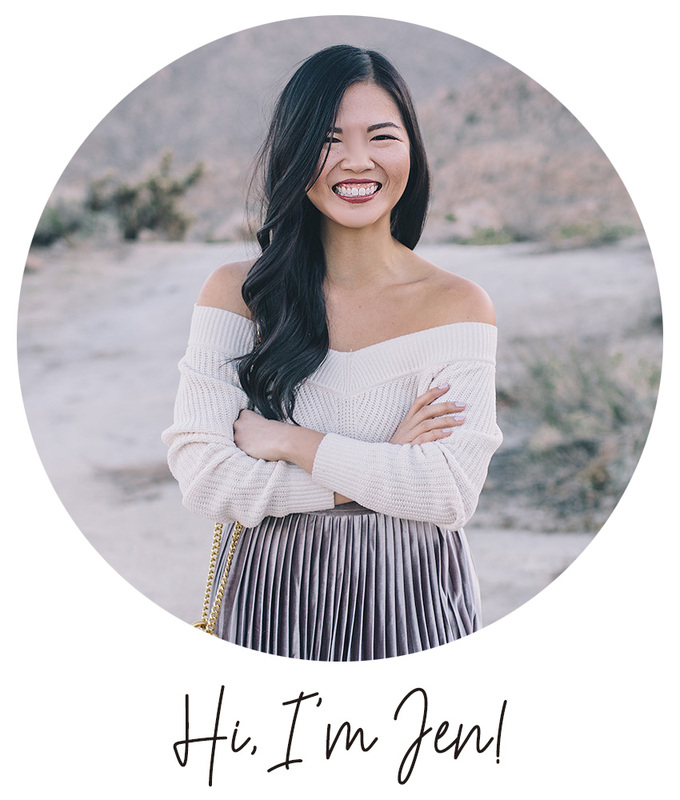 Yes, her dresses can be a bit of a splurge, but I promise you the quality and fit is worth it! 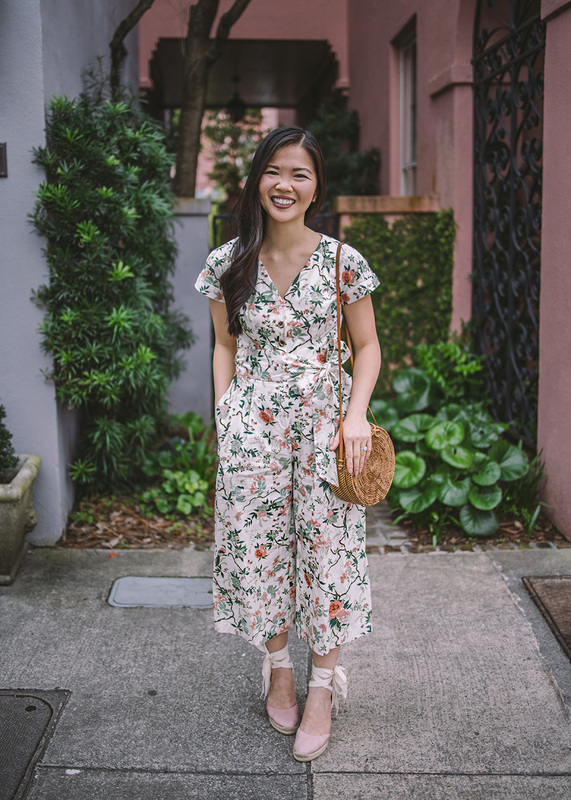 I also just noticed that dresses from older collections are now on major markdown via Nordstrom Rack, which is a great way to get your hands on Julia’s collection at the fraction of the cost! Happy shopping! Love this jumpsuit! i had to snag one of her jumpsuits too! So cute! 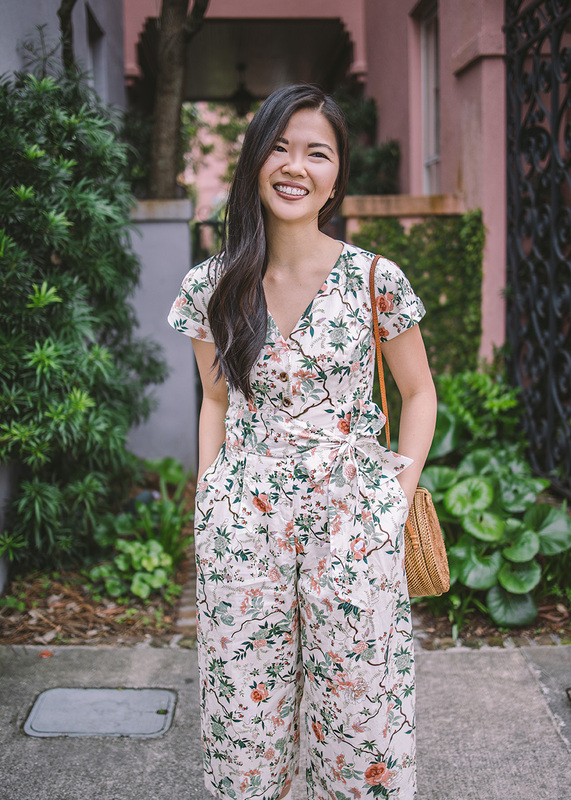 That’s a gorgeous jumpsuit, for sure, I’m just not a big fan of the cropped wide legs but other than that it’s a really pretty look.